Backed by rich industry experiences, we are highly engaged in offering a premium quality range of Wireless Data Loggers. Owing to their wireless connectivity and smooth operation features, the offered data loggers are highly appreciated among our valuable clients. In adherence to set industry standards, the offered data loggers are manufactured by the qualified professionals using excellent quality components at our vendor's production unit. 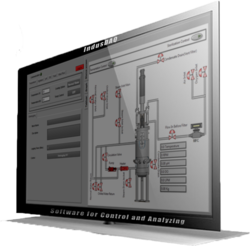 We are enormously occupied in offering an extensive series of IndusDAQ SCADA System. These products are made by experts under the management of skillful professionals in compliance with worldwide industry norms. These products are enormously used in the market due to their reliable performance and longer working life. Our products are available in the market in dissimilar configurations that meet on industry demands.